We've all wondered how exactly Santa Claus manages to deliver toys to millions of children around the world in just a single night. Flying around on a sleigh pulled by flying reindeers without colliding with any other aircraft or being shot down in restricted airspace, stuffing all those toys in a voluminous sack that seems to have an endless capacity, squeezing his triple XL frame through incredibly small chimneys, wearing a loud red suit that cries to be spotted and yet no one does, doesn’t help to corroborate the credibility of the story. Everything clearly defies logic. You are compelled to either conclude that there is something truly magical about Christmas or that the whole affair seems outright ludicrous and impossible. 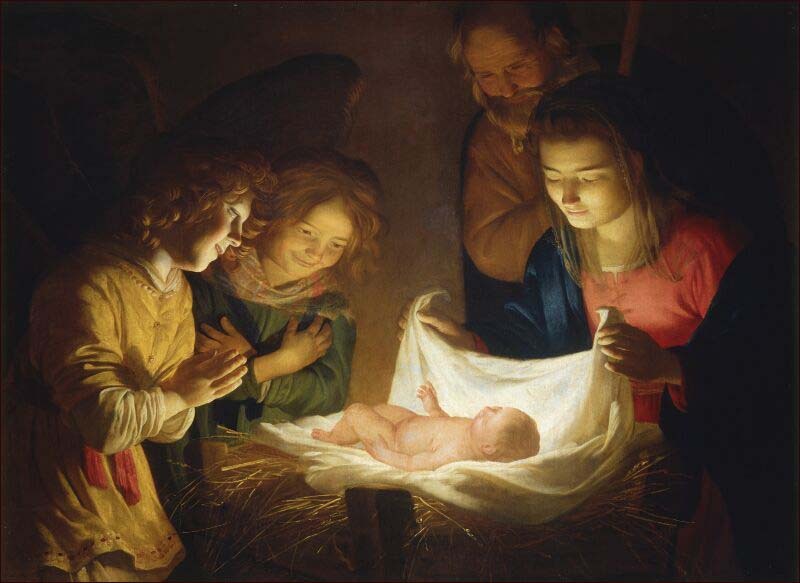 If you think that this story is incredible, what about the real story of Christmas – how God leaps down from heaven, and crawls into a stable where animals were housed, and found residence there. We should not be afraid nor embarrassed of joining with the unbelievers, critics and skeptics in saying that our belief in Christmas is unbelievable. Let’s be honest - It is unbelievable! It requires nothing short of a miracle. Just consider what this celebration entails. It is impossible for something infinite to be bounded by margins. And yet it has actually happened. It is impossible for that which is outside time to be affected by time. And yet it has actually happened. It is impossible for a virgin to bear a child. And yet she has. It is impossible for the intellect to apprehend the ineffable. And yet it has been handed to us. It is impossible for God to become something other than God without ceasing to be God. And yet it has actually happened. Our faith is impossible, irrational, incredible, incredulous, incomprehensible, and unbelievable. And yet we believe it, because it is true. It has actually happened. He is wrapped in swaddling clothes, but He gives us the garment of immortality... He finds no room in the inn, but He builds a temple for Himself in the hearts of those who believe.” And in another steering sermon, this holy bishop reminds us that “He who filled the world, did not find a place at the inn. Placed in the manger, He became our food.” Truly a paradox if you think of it. The manger, a filthy feeding trough meant for animals, contains food for immortality, the antidote to death, the elixir of life. Christ becomes spiritual food for us, bread for the world. In Bethlehem, which literally means “the house of bread,” the Bread of Life is born. Incredible, right? The world is simply outraged and screams, “Unbelievable!” They would rather settle for Santa Claus than for Christ. And yet, “things that cannot be, and that are” on this special night. Tonight, we celebrate the night of miracles. That’s good news for all of us. However, for some of you Christmas will be lonely this year. Some of you are carrying heavy burdens today. Some of you are facing a financial crisis that looks hopeless to you right now. Some of you are out of work and don’t have a single lead on a good job. Some of you are looking at a marriage that seems worse than hopeless. Some of you are estranged from members of your own family. Some of you have children who are far away from God. Some of you feel lonely and far away from God yourselves. The list goes on and on. But all these things have this in common: they seem impossible to be solved by any human means. And for the most part, they are. After all, if human means could have solved your problems, they would have been solved long ago. Remember this: Christmas is all about miracles. God specialises in things thought to be impossible. He does the things that we can’t even imagine. And only in Him, things that cannot happen, can happen; things that cannot be resolved, are resolved; an every impasse that cannot be broken, will find a break through. In fact, God is able to do exceedingly and abundantly more than we ask or can imagine. When things don’t make sense or arouse fear in your mind, trust Him. Trust in His word. Trust in the One who speaks impossible things and make them happen. Trust in the One who can make the darkness of this night as bright as daylight, and He has. Whatever home you have to return to tonight, or even if you have no home at all, know that your true home is just outside that soft circle of light within the Bethlehem stable, as you kneel beside the shepherds. Let us therefore crawl and creep, nay, let us run with speed to the manger of Our Lord and Saviour, or in the words of Chesterton, “to the place where God was homeless and all men are at home.” Here in this little manger, you would find the Miracle of Miracles. God in the flesh, our Redeemer, our Saviour, our most trusted Friend. Gloria in excelsis Deo! Merry Christmas!